The Best Spain and Portugal Itinerary to Take Now! Planning a trip always takes the longest. Where to go, how long to stay, should I do this city or that one. 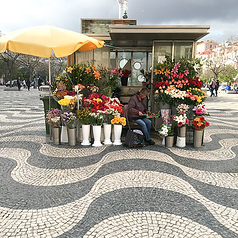 I decided to do a Spain getaway at the last minute and then added on Portugal at even later minute and found it helpful to read Rick Steves, Lonely Planet, forums and blogs to ultimately decide which cities to linger in and which to skip altogether. I’m now back from my trip to Spain and Portugal and thought I’d share a summary of our itinerary. 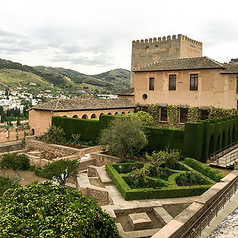 We had 2 weeks and visited Spain’s 2 main cities, Madrid and Barcelona, then headed south to see the Andalusian cities before heading west for a taste of Portugal. Here’s a summary of the Spain and Portugal itinerary that I did. I would recommend 2 weeks if you want to visit both Spain and Portugal. If you have less time, say 10 days then concentrate on Madrid and Barcelona in Spain! Keep reading below for a day by day city itinerary of must-see sights, things to eat and where to stay! I’ve also included day trip suggestions below. I arrived first in Madrid, Spain’s capital city. The streets are narrow, the apartments all have beautiful shuttered balconies and the charm is everywhere. We settled in for a couple days of sightseeing, healthy doses of tapas, rioja wine and laid back nights that ended with churros con chocolate. my special favorite, patatas bravas (fried potato wedges served with a mayo aioli)! I recommend 2 days, 3 nights. 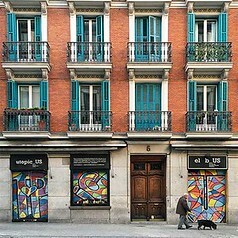 Perhaps the best neighborhood to stay in Madrid would be the Centro district, to stay centrally located near the main sights and attractions. Other solid neighborhoods: La Latina, Chueca and Barrio de las Letras. 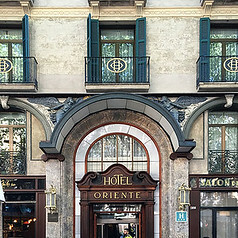 We recommend Catalonia Plaza Mayor, a comfortable hotel that’s centrally located in the heart of old Madrid. 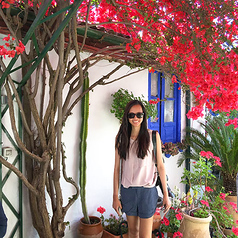 We stayed in Madrid an extra couple nights in order to do some day trips in Castille La Mancha. I couldn’t decide on one, so we visited a couple (images above from left to right). 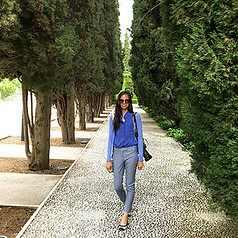 Here are the best day trips from Madrid that I’d recommend! 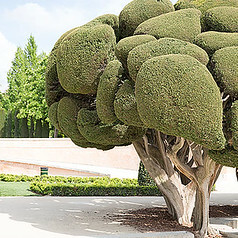 You can browse more fun day trips from Madrid here. After thoroughly explored Spain’s capital, we headed south for a loop through Andalusia. First up, Cordoba! The small town was once a regional capital for the Roman and Moorish empires so today, it bears characteristics of each. The historic sights are all located within the compact Old Town and easily walk able. We got lucky and timed our visit for their spring festival, the Patio Festival! 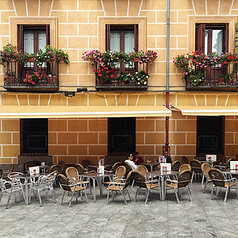 Patio means inner courtyard in Spanish, and it’s a really pretty time to visit because the entire town comes alive, locals are happy to show off their homes and everywhere you look there are stunning flowers are in bloom. Don’t Miss: a visit in Spring, when this beautiful town comes alive with flowers. 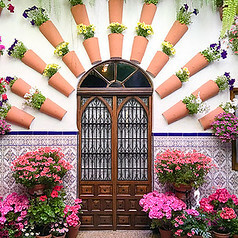 The Patio Festival is an opportunity for proud locals to exhibit their version of ‘Best Lawn’ and visitors can see traditional Moorish style patios decorated with a profusion of beautiful pink, red and green blooms. 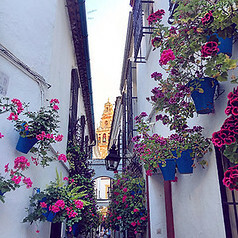 Read more: The Cordoba Patio Festival, Spain’s Prettiest Celebration! 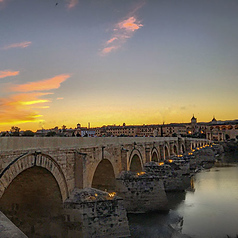 The city deserves 1 full day – unless you’re in town for the Cordoba Patio Festival when you won’t be able to get enough with even two or three days! For a beautiful hotel, stay at Eurostars Palace Hotel which has a gorgeous inner courtyard and gives a true feel for Cordoba’s patios. Inner courtyards are usually hidden to outsiders so this hotel is a treat! From Cordoba, we hopped back on the high speed train for Seville. Flamboyant Seville is home to the fiery flamenco, stadium roaring bull fights and the most delicious tapas bars of my entire trip! We did a bit more sightseeing, although by this point I was thoroughly wow’ed by the cathedrals and had pretty much reached my limit. 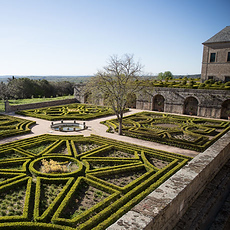 Don’t Miss: the gardens in the Alcázar are breathtaking – you might recognize them as ‘Dorne’ from Game of Thrones! 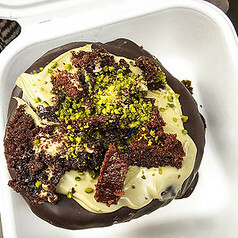 Seville is a fantastic town for foodies. 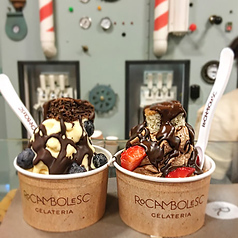 In Madrid, you have lots of old, historic bars, while in Barcelona you’ll find trendy, beautifully decorated restaurants with fantastic fusion food. But in Seville? Expect small, authentic and delicious, with a bit of flair. Essentially, it felt like it offered the best of everything in one compact town. The city is worth at least 2 days & 2 nights – so you can eat all the affordable and tasty tapas you can find! Book a room at Hotel Alfonso XIII, a luxurious property featuring gorgeous Moorish architecture and every comfort imaginable. Hotel Alfonso is located in a prime spot next to Seville’s Real Alcazar. After thoroughly exploring Seville, we hopped on a (10 euro!) bus to explore Granada, once the Moorish stronghold of the west. 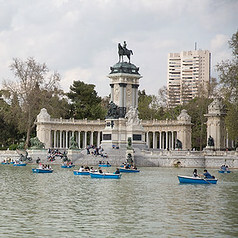 Today the city retains much of its North African flavor and is an absolute must see on any southern trip through Spain. 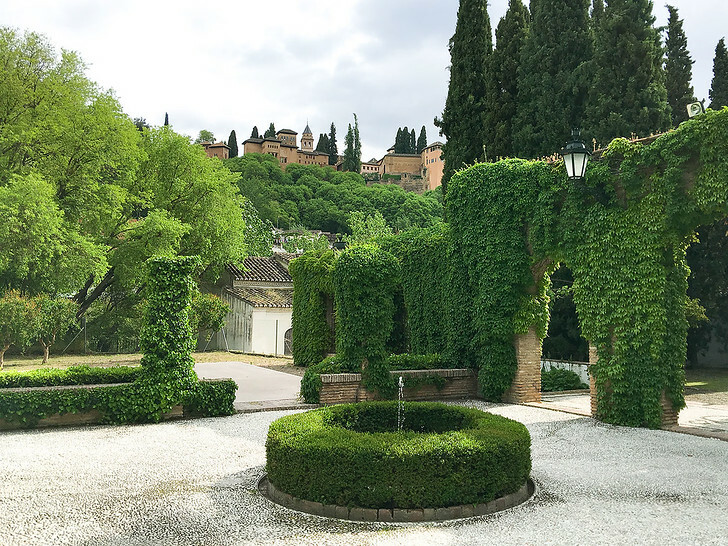 The main attraction in Granada is the breathtaking Alhambra, an old fortress and palace with extensive gardens. Tickets sell out quite fast so you’ll need to book this in advance. You can read about everything you need to know regarding Alhambra tickets in this post here. Or, skip the mess entirely and take a guided tour that bypasses the queue altogether here. I ended up extending our Granada stay for an extra half day so that I could grab the only ticket option remaining during my trip. 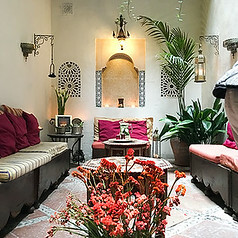 Don’t Miss: a relaxing retreat at the Arabian baths, or Hammam Al Andalus. 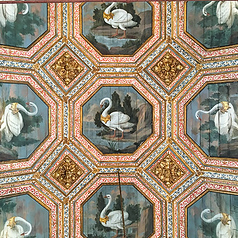 The current baths are built over the ancient bath site and gorgeously decorated. There are a number of different pools at different temperatures as well as some fun massage options. We loved how relaxing this experience was! Budget around 3 hours to fully enjoy the experience. 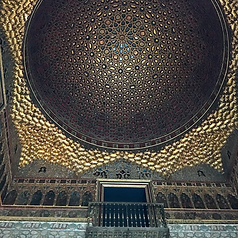 Budget 2 full days in order to fully explore the city, with a full 1/2 day devoted to the Alhambra. 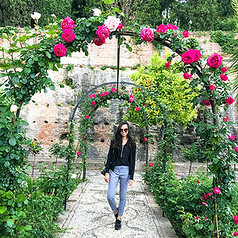 We stayed at Anacapri Granada, an affordable, clean hotel within walking distance from the Alhambra. The Anacapri Granada is located in the heart of Old Town and also conveniently near the local bus stop, should you wish to explore Granada’s farther sights. From Granada, there are a couple ways to get to Barcelona including via car, high speed rail or plane. We decided to fly after hearing unimpressed reviews of the overnight train service. Barcelona was by far one of the highlights of my trip – I enjoyed it a lot more than Madrid! The city is cosmopolitan, proudly Catalan and lively with some of the most impressive and unique sights in Spain. After almost two weeks of sightseeing, lots of churches and an abundance of small town charm, the genius works of architect Antoni Gaudí were so distinctive and colossal that I couldn’t help but be awed. Don’t Miss: a full day dedicated to Gaudi’s works: the modernist mansion Casa Batlló and the still under construction Sagrada Familia church. 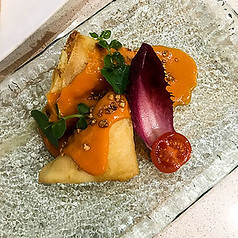 Day Trips: Barcelona had some of the most innovative tapas bars that I tried in Spain – don’t miss a good evening out trying various Spanish small plates or try a cooking class. Die hard soccer / football fans will want to see FC Barcelona’s stadium and see a match or two. Royal Ramblas is a great hotel to stay in, as it’s located right on the main shopping and pedestrian road, Las Ramblas. There’s so much to see in Barcelona (and the city makes a great base for nearby day trips in Catalonia) so budget at least 3 full days! Near Barcelona are a couple cities worth visiting. 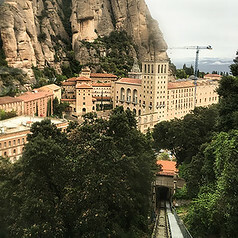 Montserrat is a religious pilgrimage site for many Catalans and a breathtaking change of scenery for tourists – the monastery is actually high up in the mountains! 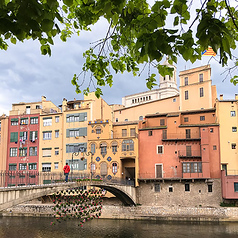 Also within an easy day trip from the city are Girona, a walkable old city famous for its historic Jewish quarter of narrow cobblestone streets, and Figueres, where Salvador Dali built his museum and personal shrine. 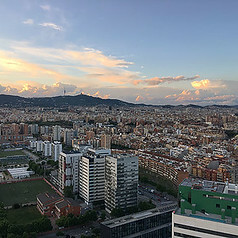 Trains connect all three towns within easy access of Barcelona Sants rail station. We decided to do the first two and left Figueres for another trip simply because the train schedules weren’t as convenient. 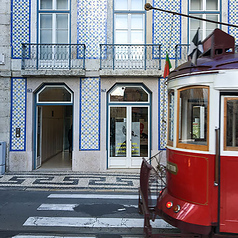 Portugal’s capital Lisbon feels a lot like San Francisco. Both have rolling hills, quaint trolleys and well worn cobblestone streets. 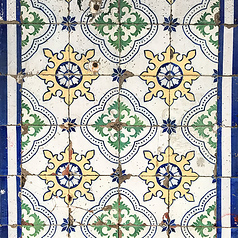 Lisbon has some amazing seafood spots and charm, but also a sad air of neglect to the magnificent tiled apartment buildings. 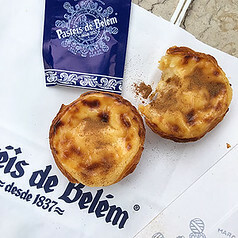 I first visited Lisbon on a fun long weekend trip in college, where we spent the days sipping on Sangria and the nights partying in Chiado and Bairro Alto.. with nightly stops at McDonalds in Rossio Square for CBO sandwiches and McFlurrys. 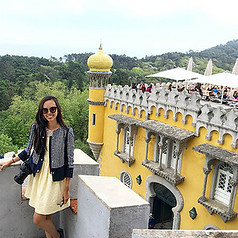 This time, I focused a bit more on sightseeing and managed to fit in a wonderful day trip to nearby Sintra. 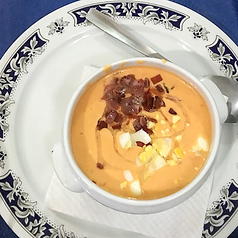 Don’t Miss: dinner at Cervejaria Ramiro, a local favorite of Anthony Bourdain that completely lived up to my seafood heavy anticipation. 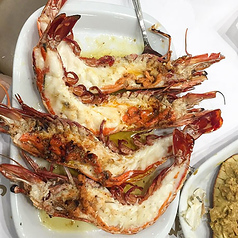 Get the garlic shrimp in olive oil and large grilled prawns and wash it all down with beer and buttery garlic bread. Hotel Santa Justa is an affordable luxury hotel with an amazing location right by the famous lift. We opted for 2 nights in Lisbon, with an extra day to check out the wacky, beautiful mansions at nearby Sintra! 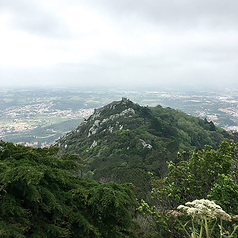 A couple friends recommended Sintra as a must do while in Lisbon. 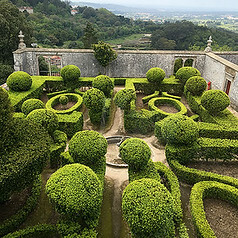 After a major earthquake and tsunami hit Lisbon in 1755, Portuguese royalty permanently left the city in favor of this mountain retreat. 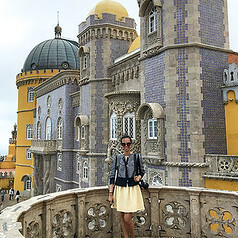 On a day trip, you can explore the national palace, Pena palace and a number of extravagant private mansions. It’s a unique town and ended up being my favorite day trip of the entire trip! Don’t Miss: the Pena Palace, which is said to have inspired Walt Disney’s vision of Cinderella Castle! Stay: 1 days, 1 night to see the highlights, a 2nd day if you want to see the exotic mansions like Montserrate Mansion that are farther from the town square. Mostly, we used the high speed train service, as it was the most convenient. To book tickets, we used Rail Europe. It’s the largest distributor for European train tickets and accepts international credit cards. Spain does have its own train website, but its in Spanish and meant for local Spanish citizens to book. The Rail Europe site is much more user friendly – you can both browse train schedules and keep track of all your purchased tickets by making an account. They charge a nominal booking fee for the process, I believe around 1-3 euro per transaction, so try to organize your route first then buy all the tickets in one go. Train routes typically are published 3-6 months out so if you can’t find the schedule for your dates, you might be looking to early. Just check back in a couple weeks or so. Ticket prices will get more expensive with time, so book in advance to save. Check train schedules for Spain here. 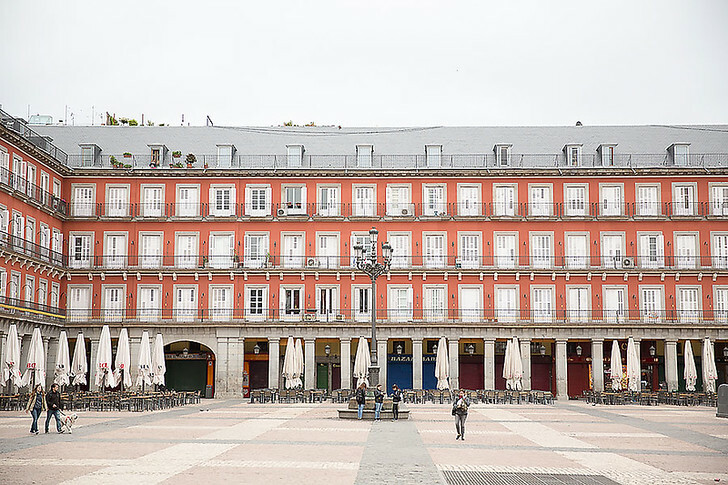 We flew into Madrid, and spent a couple days exploring the area. 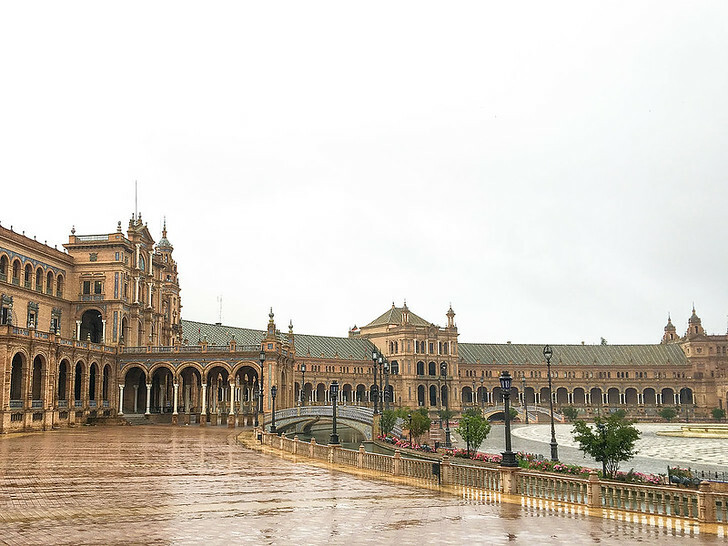 From Madrid, we took the high speed train down to Cordoba and again from Cordoba to Seville. From Seville, you can take either the train or bus. We found a steal bus fare (~10 euro per person), so we tried the bus. If you can’t find a bus deal, just use the train as it’s much easier to navigate! From Granada, we chose to fly up northeast to Barcelona. You can take the train, but it’s historically been offered as an overnight train option, and friends who took it said it was very uncomfortable. Granada has been doing construction on its train station, so double check whether a train is available for your dates. Personally, we recommend flying. In Barcelona, we booked day trips to nearby Montserrat and Girona using the train. After fully exploring the Catalonia region, we flew to neighboring Portugal to visit Lisbon and Sintra. And there you go! My trip report after visiting Spain and Portugal for the first time. I hope my 2 week itinerary was helpful! If you have less time, say 10 days or 1 week, I would cut out Southern Spain. You could save Andalusia for a separate trip entirely as there’s lots to see! Are you planning a trip to Spain, Portugal or both? Let me know any questions in the comments below! Gah you’re making me so jealous, girl!!!! I studied abroad in Salamanca in high school and spent a lot of time in Barcelona and Madrid, but I haven’t been back since. 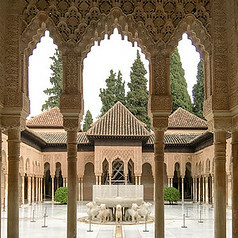 I desperately want to go back and go down to Granada to see the Alhambra! Wow, so much information & this is so detailed! I may be going to Lisbon in November, so this is cool to know it’s like San Fran. I have my list of must-sees made after reading this post! Wow, what an incredible trip and your pictures are absolutely stunning! I want to go now! Nice tips! I will going to Spain later in the summer, so this will help a lot. Your photos are absolutely stunning! I’ll be moving to Spain in the fall and will definitely refer back to this. Aw, thanks for the kind words Colby! 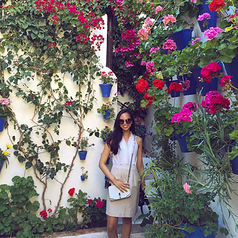 Your vacation looks AH-Mazing!!! And the photos!!! Makes me want to book a trip asap! Excellent review and nicely planned trip. 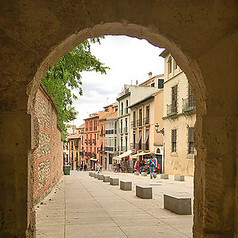 Pictures of Granada and Cordoba look very nice. Too bad you didnt see Porto, such a nice city as well. Many thanks for the inspiration. Thanks Julian! Yea – I keep seeing Porto all over now. Wish I had gone but it was nearing 3 weeks at that point and I had to get back to work! If only haha. Thanks Melissa! It was an amazing trip, I hope you have a great summer! Fantastic and comprehensive post! I always appreciate a post catering to first timers, as that is quite often what I am, myself! Beautiful photos, thanks for the insight into such spectacular places! 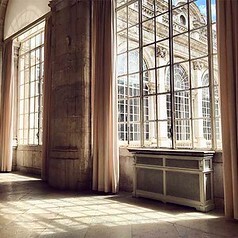 Your photos are simply stunning!! Awesome trip! i did portugal a couple of years ago! i loved it, sintra was unreal. All these places are amazing,I definitely have to visit them someday! A very well arranged guide for the travel you have experienced. I found this clear and easy to understand with structure of information and pictures coming along with. I have printed it for the trip to Spain in next two years. Thanks. First of all I have to say I LOVE your photos and the way they are set up in this post. Haven’t been to all these places in Spain but definitely have to get back so I can visit more. Wowwww I’m just in love with Sintra because of your photos <3 I have a thing for colorful cities. Beautiful…. Thank you Renne! Yes I’m so glad I took a detour to Sintra on this Portugal trip, it was a really fun day trip and actually 2 days would have been better! Love the itinerary and the photos! I’ve been to all these cities and I can say that you pretty much covered everything for a first time trip. I’m also more a fan of Barcelona than Madrid. 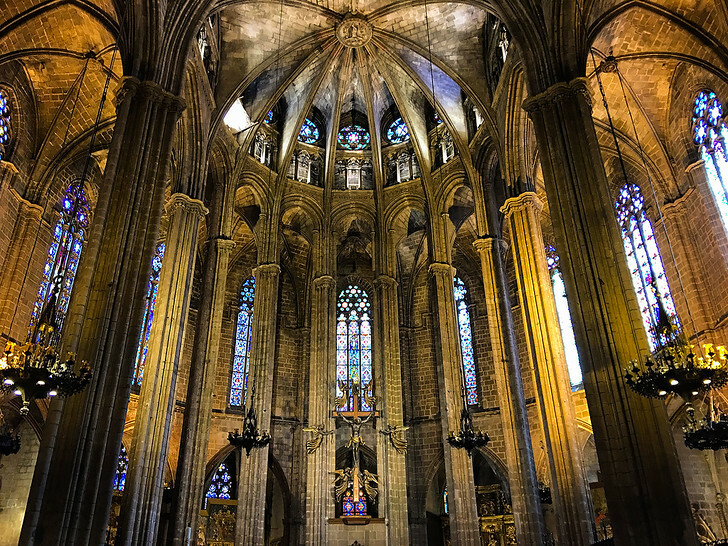 In the highlights there, I would add the palace of the Catalan Music – one of my favourite places with the Sagrada Familia – and la Boqueria, the market on the Ramblas. Yes! 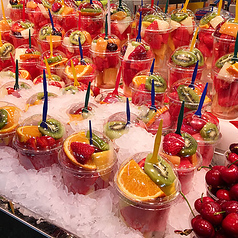 I loved La Boqueria too – had a great seafood brunch there. Can’t believe I forgot to add that, thanks for the note Stephanie! I love this :) I did this trip exactly back in 2012 with the addition of Porto. Your photos are beautiful! That is a concise and well planned itinerary. Very useful and am bookmarking it for my future trip. 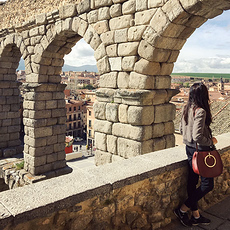 All of these places are must-visits, especially Sintra… and Grenada… and Madrid… I think adding the day trip to Segovia is brilliant. I really enjoyed your post and the pictures look amazing. Yes! 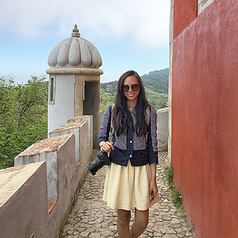 I wish I had spent an extra day in Sintra – there was a lot more to see than I had realized! Any insight you have would be wonderful!! Hi Tara – either itinerary would be amazing, it really depends on what you’re looking to do on your trip? Between Madrid & Barcelona, I liked Barcelona a lot more (personally) as it’s a larger, vibrant city with amazing restaurants, lots of sights (mostly of Gaudi’s works) and Montserrat was very different. Hi Sheena, aw thank you! Happy to help. Yes I flew in to Madrid and yes also flew from Barcelona to Lisbon. In between I took trains from Madrid down south to Seville/Cordoba/Granada. All of those train rides are very doable and you can find the train schedule on renfe.com The site doesn’t fully translate from Spanish to English but the time schedules are easy enough to read. To actually book the tickets I used rail europe (i have a link to that in the post) because it’s easier to pay – with renfe you pretty much need a spanish credit card or it won’t work. I didn’t rent a car so to get from city to city I took the train or flew. I felt like walking in any of the Spanish cities was very doable and walked pretty much everywhere! Even 30 minutes in some cases but I also don’t mind to walk. There are local buses and taxis to get around too so no need for a car! I definitely really liked Lisbon but I went with family and they were kind of tired after 10 days in spain, so if you decide to go home after Barcelona that could be fine too. Lisbon is very hilly (kind of like San Francisco if you have been there?) and you mostly have to walk around for sights and such but there’s also the trolley to take which is fun. If you do go to Lisbon, I highly recommend Sintra! There are some colorful palaces and mansions there which are really unique. We’re planning to go visiting Spain and Portugal departing from the UK for 13 days, wondering what would be the best itinerary be for our first time visit on these both countries and we need to head back to Hong Kong after, need your suggestion to see if we’re able to fly direct either from those countries or get back to the UK first. FYI, we don’t drive. Wow! your itinerary is perfect! ;) Great choice of places and I also loved your pictures. Love this itinerary! I’m planning a trip now hoping to hit most of these places, but I only have about 14 days. How many days total was your trip? Hi Sher your blog was really insightful! I have a question. I’m planning to buy train tickets in advance (traveling to Spain and Portugal) but since my itenerary is not finalized so how do I go about making reservations? Is it hard to make same day /2dayreservations in advance for train seat reservation? Thanks for your help! Hi Namrata, glad my posts were helpful! Hm, it depends. When are you planning to go? If spring/summer I would recommend you finalize your itinerary and buy the tickets online before you go. Spain gets quite crowded as early as May and certain popular places will sell out. 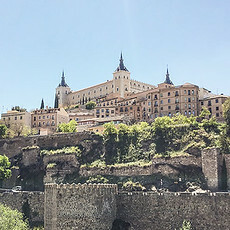 For example, the Madrid day trip to Toledo is strangely very popular! I booked all of my trains ahead of time, except my Portugal day trip to Sintra. the line at the train station was very, very long the day of. In hindsight I would have bought it ahead of time to save time. If you are visiting in the fall/winter its probably less important to book ahead. For the Alhambra you absolutely need to buy a ticket ahead of time (I have a whole post on that). In general the high speed train runs pretty frequently, you just might not the time or seat you want if you buy the day of. Hope that helps! Your website is so informative and I;m glad that you’re doing well because of it. We are planning a 11 day trip, flying into Barcelona on Aug 10 and flying out of Lisbon on Aug 21st. We are currently scheduled to fly out of Barcelona on Aug 16th and spend 1 night in Seville, and the remaining time in Lisbon. We are a relaxed family (2 adults, 2 teens 13-15) who like to soak it all in and enjoy nights out exploring the town etc. Would you recommend that we cut 1 day short in Barcelona and spend 2 nights in Seville ? There’s lots to see, do and eat in Barcelona. You mentioned your family likes to go out and explore at night, I think you’ll really love Barcelona for that. 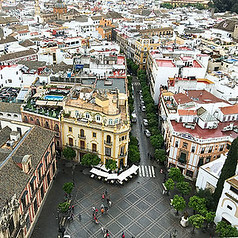 Seville is much quieter and smaller, but there’s enough to fill 2 days. 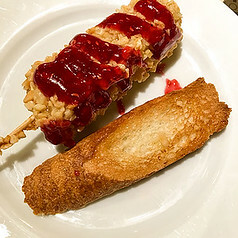 The tapas bars were my favorite – they have some very authentic “stand at the bar and order” type of tapas bars and more modern, fancier tapas restaurants so you could easily spend the full 2 days eating! 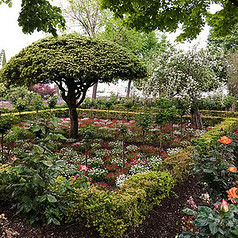 If you get bored (which i dont think you would, but just if, Cordoba is a very cute small town only a quick day trip train ride away) that I really loved. Hope that helps and have a fantastic trip! I’m so glad I spotted your travel blog. It has been very helpful so far, very detailed and organized. I was wondering if you could help me plan a better itinerary for a trip my husband and I are planning. It will cover Southern Spain (Andalusia: Seville, Córdoba, Granada, Malaga) to Tangier, Morocco then to Portugal (Lisbon, Fatima, Sintra, maybe Porto) then back to California. This will be for Sept 25-Oct 18. My plan is to fly into Seville first (4 nights) then take the train to Córdoba (2 nights), Granada (3 nights), Malaga (2 nights), ferry to Tangier (2 nights), back to Seville to fly to Lisbon. We have no specific itinerary for Portugal yet except to be in Fatima by Oct 11-14 for the Fatima Centennial events. We plan to take the train between cities in Spain. Do you have a better suggestion in which order should we visit the 4 cities in Andalusia? I’m stuck with the train routes. There’s no direct train route to Granada from the other 3 cities, so we’ll have to keep on backtracking to Córdoba or Seville to get to Granada and Malaga which will be a waste of time. any thoughts? Thank you. Hi Regina – thanks for the kind words! Hm.. I see what you mean. Granada has an airport as well, which might be convenient if you haven’t already booked your flights. The train routes in Spain are set, so like you said you sometimes have to backtrack. There is a very affordable and comfortable bus between Seville + Granada. Book through the company Alsa and if you book enough in advance, it’s only 10-15 euro per person. 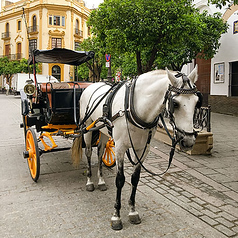 Perhaps you might split up your time in Seville into 2 night, then Cordoba for 2 nights, then back to Seville for 2 nights so that it’s a more comfortable journey. Sometimes I do that and pick a different neighborhood / hotel to stay at and find that I get a completely different experience! 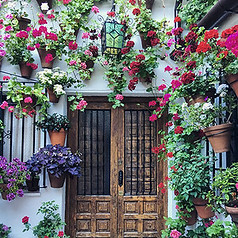 Or you might want to visit Cordoba on a day trip when you’re in Seville. 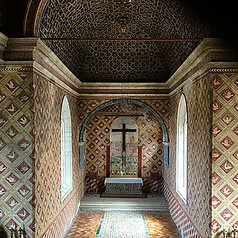 Some people feel Cordoba is small and that the highlights can be seen in a day trip. I am currently researching and planning a trip to both Portugal and Spain and found your information helpful. Thank you! Thanks for this incredible detail – it’s amazing. I’m planning a 11-day trip to Spain and, possibly, Portugal. I’d love your input on a planning dilemma I’m having. We are SUPER adventurous and active, but really want to take in each city. Hi Sarah – I know what you mean! It’s always a challenge between seeing as much as possible and soaking it in. I would recommend cutting out lisbon. I’m not sure of the route you’re taking but flying to Portugal from Spain usually involves flights out of Barcelona, so you would go Barca > Andalusia > back to Barca just to get to Lisbon, which adds extra time. 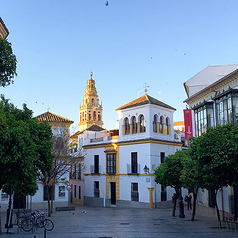 I liked the small town feel of Seville more and the excellent local tapas scene, but Granada has more sights so usually people do at least 2 days in seville and 3 in Granada. 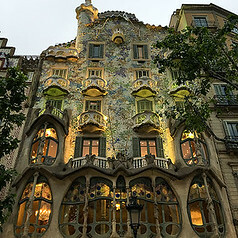 Out of them all, I loved Barcelona – I’m definitely a city person – so I would do 5 days in Barcelona if you have time. There’s lots of sights and then fun nearby day trips to take advantage of. Hope that helps! That’s extremely helpful. Thank you – I think you just helped make my decision! I love your blog! I am planning at trip to Spain (Barcelona, Madrid, and Lisbon) for my birthday in April. I’m a bit overwhelmed with the planning. How long did it take you to plan this trip? Hi Marcie! So glad you like it :) What a great birthday trip!! You’ll love Spain. I know what you mean, it takes a loooong time to plan because I like to customize my itinerary to things I like to do, plan the transportation myself and also keep things within budget! What I find helpful is to get a guidebook first, like Rick Steves or Fodors for europe, scan it through to get a general outline and then read blogs and forums for the details. In the beginning it was really hard and there wasn’t much info out there so I started writing these posts to help other people who like to plan their own trips too! This is wonderful. Curious for your trip, what was your budget? In planning stages so trying to get a sense. Also are you able to “beach” it anywhere along these stops? Hi Jessica, Hm I don’t remember exactly what we spent but what I usually do is book the flights, hotels & transportation first – those are usually the bulk of the trip cost. If you’re booking in advance things are much much cheaper, especially flights and trains. In the larger cities hotels are more expensive so you can look into AirBnB for a more budget friendly option. For sights – Barcelona has some really great sights but the tickets can be expensive if you see them all. The nice thing is you can buy them online in advance and get a sense of budget. I booked those last minute the day of and I think if you book earlier, it is cheaper. Food in Spain is average priced (compared to New York). 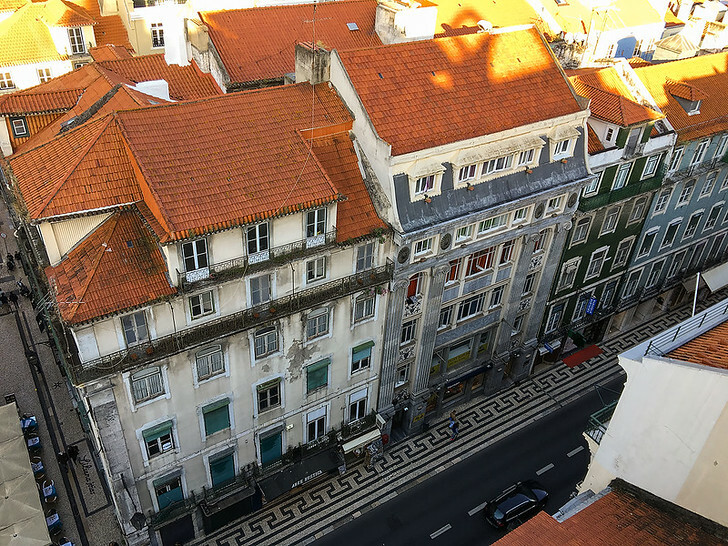 Lisbon is budget friendly but again, just depends how you travel. I spent all my time/money at the bars when I was younger but re-visiting Lisbon this time, I spent more on sights and food. So, it really depends! There are beaches in Barcelona! I’ve heard great things about Portugal’s beaches but haven’t personally been. Hey Sher, loved your pics and your details so useful. I need an advice. i am planning for a trip on the end of January(16 days).First i will be with prepaid guided tour France-Switzerland-Italy(6 days) and back to Paris, but instead of going back to Paris i was thinking of traveling from Avignon to Barcelona. I was this close to cancel Barcelona and go straight to Madrid then Andalusia then Portugal than after reading your post , i think i can do it. what do you suggest?! What is the best way to manage my time and to see all these cities! Sounds like an amazing European tour! Not sure how much time you have but if you can fit it all in then great! Hi May – glad it was helpful! Since it’s not a packaged tour, the trip cost will depend on what you want to do! Hotels, restaurants, flights, sights etc – it just depends how luxury or budget you go :) You can get an idea upfront by booking your flights and hotels first. Some of the more famous sites in Spain can be booked online in advance too. Hi Sher! Great pics!! I am planning to do Spain/Portugal in May for 7 days. We were thinking of staying in Barcelona for 4 nights and then heading out to Libson. I also wanted to check out Sintra(day trip). Do you think three nights will be enough in Libson? Unfortunately, I already booked my tickets from/to Barcelona. 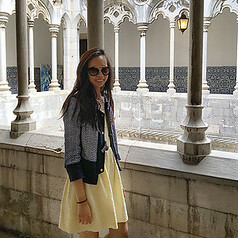 Thank you for a very detailed post- very useful for our Spain Portugal trip in late May! 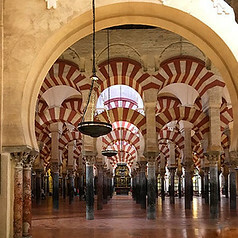 I was planning to make Cordoba only a day trip from Madrid (or Seville?) so we wont be dragging our luggage behind. What can you suggest? 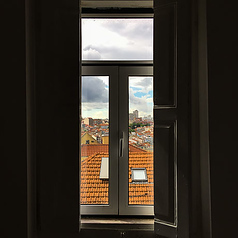 I noticed that you don’t have separate posts for Madrid and Barcelona unlike the 3 Andalusia cities which you discussed very thoroughly (you even included day to day itineraries!). Can you suggest links For Madrid and Barcelona very similar to your Andalusia posts? What routes are better traveled by train and those by plane? Hi Ann – glad you found the posts helpful! 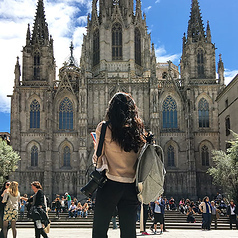 I covered transportation in my posts but for specific detailed advice, I highly recommend Rick Steves’ Spain book – relied on it heavily to plan my own trip – or a travel agent to plan all the little details! A couple of points. Citing $300 a night hotels as ‘affordable’ is not something most people would consider a reasonable statement. Only other point is with your assertion that the Pena Palace inspired Disney’s Cinderella Castle. That is incorrect. The inspiration was Neuschwanstein castle in Germany. Hi Tim – The hotels I mentioned are recommendations based on my trip. Keep in mind that rates fluctuate dramatically depending on the time of year that you’re searching for. Pena Palace is widely believed to have inspired Disney – in addition to Neuschwanstein. what do you think about the possibility of this? 1.How did you travel from Madrid to Cordoba? By bus, I guess? 2.How about BUS from Cordoba to Seville? 3.How did you travel from Barcelona to Lisbon? By plane, I guess? From Madrid, I took the high speed train down to Cordoba and then again the train from Cordoba to Seville. I didn’t take the bus but you can check the Spain bus website if you prefer to take the bus. It will be much slower. Yes I took a flight from Barcelona to Lisbon. I think that is the easiest way. Even though Spain and Portugal are neighbors, it’s not the easiest to get from one to the other. I heard once that it’s because of mountains.. but I’m not sure. Flight is easiest. Sher, your post is very helpful and sounds like a wonderful trip. I wish we had time to follow your itinerary. We will be traveling to Spain for 5 days before heading to Portugal for a group trip. We’d love to see as much as possible, where would you recommend we go if we only have 5 days? We prefer exploring the cities over spending lots of time in museums. Would it be doable to fly into Barcelona and spend 2 nights there, flying out to Madrid and exploring Madrid for a couple of days (3 nights) including a day trip before heading to Portugal? Or are we better off going to just Barcelona and doing day trips or Madrid and doing day trips? Thanks! Hi ZD! If you have a short time, Madrid and Barcelona are definitely the 2 cities you want to visit! Regarding where to spend your 5 days, it depends on how you prefer to travel. I spent 5 days in just Barcelona, since its a big city and there are lots of sights to see. 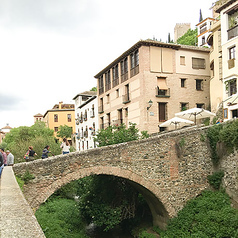 I also took day trips to Montserrat and Girona which I really liked. For Madrid, I felt like there was a bit less to see, and that the city had a older / historic vibe. I guess you could compare Barcelona to NYC and Madrid to Washington DC? So it just depends on the kind of atmosphere you like. Hi Nidhi – so glad it’s been helpful for you! hm what do you mean by a particular operator? like a tour guide? 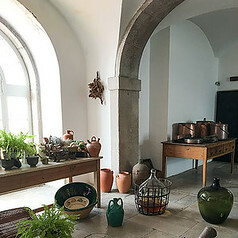 i usually book guided tours through viator and they connect to a local company. hope that helps! 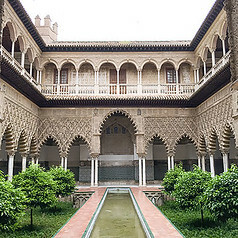 Hi Sher, We are planning to visit Granada from Seville and loved your itinerary. Can you please share which bus company you used for the journey? Hey Sher! The pictures looks absolutely fantastic!!!. Thanks for the detailed itinerary. 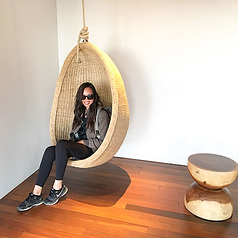 I guess for anyone travelling for the first time, the usual dilemmas are always the same – Which places to consider and their relevance, though it might vary from person to person but your post gives a good comparative view of the places to visit. Just yesterday while talking to a friend, who cover Spain and Portugal starting from Portugal and then moving on the Spain. She found Portugal better than Spain with the exclamation most the places look the same in Spain. She even advised me considering either of Barcelona or Madrid as they both are very similar. I would be travelling from Bombay and would like to ask which place should be the starting point – Portugal or Spain and am considering around May. Which month did you visit and as per you which would be the ideal time to travel to these places? Hi Romesh – thanks for the kind words! Hm, I had a different opinion. I found Portugal and Spain to be quite different. I did like Portugal better, I think the food and the people really stand out there. It’s up to you for Madrid vs Barcelona. Personally I think they are very different cities (similar to Washington DC vs NYC). If you have the time I would do both, but if you only have time for 1, it depends what you think you’d like more. Barcelona has great food, lots of nightlife, impressive architecture, shopping, a cosmopolitan feel. 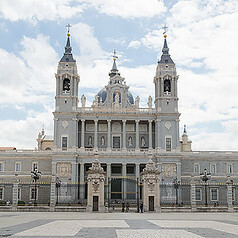 Madrid is older, more historic, government buildings and classic museums. For example, if you want trendy Spanish tapas = Barcelona. If you want old school tapas bars = Madrid. That’s a generalization, of course, but that was my experience. 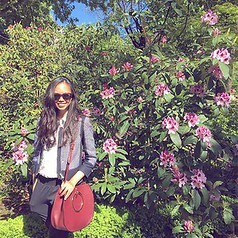 We went in Spring and loved it. Good weather, less crowds. For starting point, go with whatever transportation is easiest from Bombay and is cheaper! This itinerary is awesome! My friend and I want to spend 14 days in Spain and Portugal end of the year. What was the cost for your trip? I know prices change, but a ball park estimate will help with our planning. Thank you so much!! Hi Kate – so glad you like it! I don’t remember the exact cost but for you can do the trip as budget or as luxury as you want. What I usually do is price out the cost of flights + hotels and that’s usually the two most expensive things. And then I know if I can splurge day to day or if I need to set a limit for how much to spend when I’m there. Hope that helps! Hi Sher. I am from Singapore and am looking to holiday in Spain In June. As this is my first time I was wondering how to go About it. Your itinerary is so detailed. I think I am going to follow it to the tee. Including staying at the same hotels. I want to do some shopping as well. Heard that Zara is all over. I plan to leave on 10 June and return on 24 June. Are there any tips you can give me. Thank you. Faye. Hi Faye – You’ll have a great time! 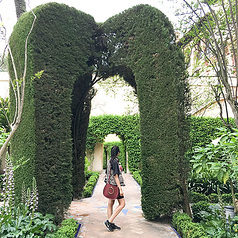 Thanks for the kind words about my itinerary :) Zara is AMAZING in Spain (at least compared to the US), plus they have Zara Home stores that I love because we don’t get them in New York! June will be pretty hot in Spain, especially in the South, so try planning your day to get up early and sight see, take a siesta at your hotel in the afternoon, and then go out again after. Have a fantastic trip! Hi Sher. As we do not want to be too stressed on the trip. Please let me know which areas I can skip. And can u please help me to customize an itinerary including how I get from one place to another. I am not a frequent traveler and this is the first time I am venturing so far out in my own. And if there are cheaper hotel options. I will fly into Barcelona and out of Seville. Is that ok? Thank you. I appreciate your help. Hi Faye – I’ve shared my itinerary and included lots of options for how to customize it to fit your trip length and interests. Feel free to include or exclude whatever you like :) I think if you read through all my posts on Spain, pick up the Rick Steves guidebook and read through a couple other Spain blogs, you can easily find all the answers to your questions and create your perfect Spain & Portugal vacation. I love trip planning and planned the entire trip listed in my post but I understand not everyone likes to do the same. If you would like me to review your itinerary, answer questions in depth or plan your trip I offer travel consultations where you can hire me for a one hour call. I don’t make the bookings though – If you want a completely hands off experience, I have friends who are travel agents who you can hire to create a completely custom itinerary. Pls send me a contact of a travel agent who can help me with the train and other bookings. Do let me know the charges as well. Tks. This is WONDERFUL! Thank you so much, I was worried I wouldn’t get the most out of my stay in Barcelona until now! Hi! 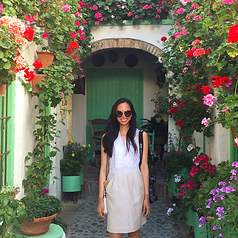 I love this post and am largely basing my trip to Spain off it, so thanks for a great article! Just wondering if you could please clarify how many days you spent in Barcelona and Madrid with day trips. 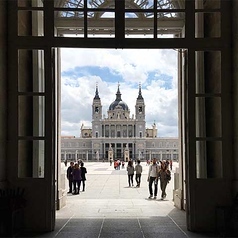 Did you spend two days in Madrid and then 1 day trip visiting Segovia, Toledo and El Escorial all in one day? 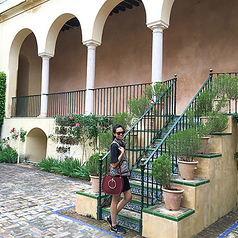 Likewis, did you spend 3 days in Barcelona and then 1 day trip visiting Montserrat and Girona in the same day? Hi Milli – glad the post is helpful! The itinerary above is just an example and I structured it so that if you have more/less time you can consider the day trips – essentially you can spend however many days you wish in each city! Personally, I enjoyed Barcelona more and think you could even spend a week just there! Hello, I am planning a trip to Spain and Portugal in Spring of 2019. I will be traveling for 10 days. I will be visiting Barcelona and Madrid. Would it be better to start at Madrid to the little towns in the south then over to Portugal and then head up to barcelona? Or would it better to start Barcelona, then over to Portugal and then to Mardrid and fly home from there? Hi Jackie – It depends! What I suggest is checking out the transportation options for your trip dates. First go to Google Flights here and see if flights are available and how much they cost. Then go to Rail Europe here and see how much train rides cost for each long leg. That’s how I plan my trips! Even though Spain + Portugal are right next to each other, I found for my trip dates that surprisingly flight connections were not that convenient. So, we did Madrid, train south, flight to Barcelona, flight to Lisbon. Hope that helps! I’m planning a trip for 4 people (active “seniors”) to Spain and Portugal for Fall 2019. We were thinking of driving. I see you used train, and planes.Why did you choose planes versus trains? Would you not recommend driving? I see you only visited Lisbon with day trip to Sintra, where else in Portugal do you recommend? 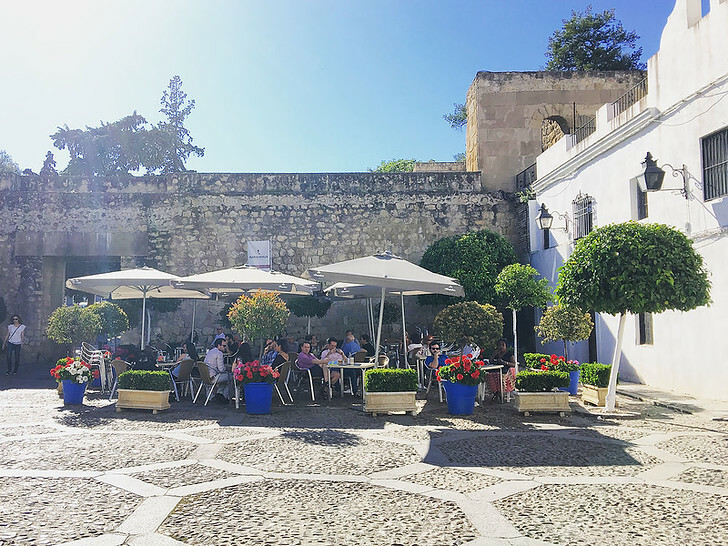 My thoughts are Barcelona, Madrid, Granada, Seville, possible beach stop in Costa del Sol, then onto Portugal, Lisbon and ….How long do you recommend for this itinerary? Hi Anna – If there are trains available, I prefer trains. They’re MUCH more convenient and often cheaper. Train stations are usually in or near the town center so I can just hop on, get off and go sight see. Whereas airports are outside the city so they require additional transportation to & from, plus I need to factor in at least an hour to go through security and if I have carry on suitcases, domestic airlines will often charge extra per piece. Spain has a pretty great train network so it’s fast, convenient and affordable. Head to Rail Europe and plug in the cities you want to visit and check the times/ rates. Driving in Spain is tough, but I think you can see even more if you drive! I’ve heard great things about Cascais in Portugal – check that out. Thanks for a great article. I was wondering if you could please break down your visit to Madrid and Barcelona into days spent in the cities themselves vs day trips (and what/ how many places you visited for each day trip)? 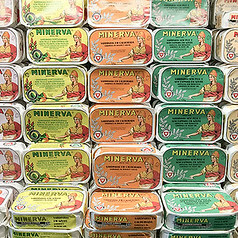 Hi Milli – I’d recommend at least 2 days in Madrid and at least 3 full days in Barcelona. If you want to do the day trips, add on an extra day for each, or a 1/2 day if you want to go from the day trip on to another city. Hope that helps! Hi..your trip looks amazing. Do you recommend driving in Spain and Portugal to do similar trips? Hi Kavita – if you’re comfortable driving then it could be a great idea to see some smaller towns! For me, I had limited time (2 weeks) and the main cities are easily connected via train/flights so that’s what we did. I am traveling to Barcelona solo for nine days in mid October. I am looking for a week of being in one spot to unwind and be near a beach. I have been looking non stop and can’t seem to find anything great that is priced right. Either what I have found it extremely expensive or seemingly too inexpensive for what is being offered. I will have completed Ironman Barcelona (hard endurance triathlon race) and I am normally very curious yet I know that I will want a beach and relaxation with some culture and fun. That said, I am more interested in unwinding rather than exploring…. Do you have any ideas? Thank you! Love reading your post before planning my travels. I wanted to know, would you recommend doing Barcelona first and the Southern Spain or the way you did it. We are flying in and out of Madrid so i cant decide what would make more sense. Any input would be grateful. Hi Sumaiya – check the flight + train schedules for your dates! I usually decide the order of our route based on the times tables + fares. Thank you for your informative post! I’m sooooo happy to chance upon it! Your photos are so nicely taken as well! I’m planning a trip for 4 adults in February. Have you heard of Barcelona carnival before? Do you think it is worth going? Also, we are there for 11 days 10 nights, flying in and out from Barcelona. Do you think it’s possible to do Barc-> Madrid -> Cordoba -> Grananda -> Seville -> drive to Lisbon -> drive back to Spain -> take train back to Barc? Or is it too ambitious? Hi Charmaine – No problem! So glad you found it helpful. I’ve never been to Barcelona for carnival but it sounds like a lot of fun! I haven’t driven in Spain or Portugal, so unfortunately wouldn’t have any advice on that. Thanks so much for an amazing summary. You helped me a lot. I hope you continue to do and that you get to travel the world. Ah, thank you for the nice comment! Have a great trip to Spain / Portugal! Hi Sher, I am so pleased to have found your blog! 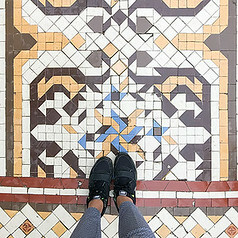 Your photos and descriptions of each city and places of interest are absolutely inspiring! 2 – trying to decide whether to train to Cordoba, Malaga or Grenada. I’m not sure how we can make this work. Is it possible to stay in one of these as a base and visit each of these places in day trips from one of these? Say 5 days spent between these three cities? 5 – We will then travel to Vigo [train or fly?] to join one of the Camino routes finishing at Santiago de Compestela. 6 – From here we will go to Barcelona for a few days before flying home. I would really appreciate any thoughts you might have Sher. Hi Jennifer – thanks for the kind words! your proposed itinerary sounds great. yes, it is possible to choose a city as a base and then take day trips from the train. i haven’t been to malaga, but cordoba + seville are quite close together. granada is a bit farther. 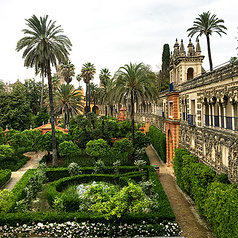 so, you could either go from madrid down to cordoba and explore the city, then continue onwards to seville, or you can go from madrid to granada and double back on a day trip to cordoba. check flight schedules for your dates here. for my trip and dates, i found that flying to lisbon was easier from Barcelona, as it was a larger hub. walking the camino route sounds incredible, i’ve heard great things! have a great trip!! I’ve been wanting to visit Spain and Portugal together for years so this guide was fantastic! My only on concern is that other blogs mentioned that doing too much can be overwhelming and rushed. Did you feel you got adequate time everywhere or were you just concerned with the planning and packing process to get to the next place? I definitely want to do them all but don’t want anything to feel rushed or missed because I’m on a strict itinerary. Thanks!! Hi Stephanie – glad you found my article helpful! It depends how much time you have – we spent 2 weeks and felt like it was all very comfortable. But, we also are the kind of people that like to do a lot on vacation :) You can use our itinerary above as a starting point and adjust depending on your time frame! I am thinking about Spain and/or Portugal for a family vacation this summer (my sons are in their early 20’s). 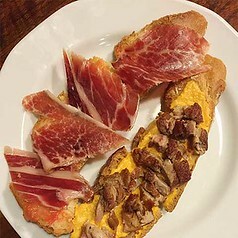 I’ve been to Madrid and Toledo already, so I am OK missing these. We are certified scuba divers and not sure if we can fit in a day of diving to break up the city experience. I also wonder if we should consider taking a ferry over to Moracco/Gibraltor. I’d appreciate any/all suggestions – thanks! Are there any good beaches in Portugal? We want to relax more rather than sightseeing from point A to B. Any suggestions? Hi Felicia, I haven’t personally been to any beaches in Portugal, so can’t say!